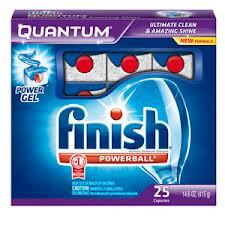 Finish are giving away FREE coupons to redeem against their Finish Quantum dishwasher detergent. Get your glasses and crockery sparkly clean. To get your Finish Quantum coupon, click ‘get freebie’, fill out the form on their website and answer a short survey, click ‘submit’, then print off your coupon. Please see your individual coupon for T&Cs and validity. The freebie didn’t work on my computer but they sent me a physical copy in the mail as I had done the survey. The coupon I received however was for £1 off, NOT a free pack of 25. A bit disgruntled that was advertised and what was received were totally seperate, but any little bit helps. Sorry to hear that, Lap. Have you gotten back in touch with Quantum to let them know of your disappointment?